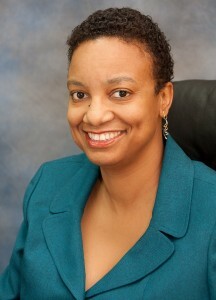 Allison Demas is a rainmaker. Demas, an attorney with extensive expertise in copyright laws and policy and new media, but clearly none in theatre, within the space of a week managed to make the old, tedious, almost irrelevant Dimanche Gras format that everyone agrees must be revamped, into something longed for and missed. What should have been an attractively packaged series of shows for Calypso Monarch, King and Queen of the Bands and Dimanche Gras became bungled, tedious tasteless versions of their former selves. Carnival is festival theatre. The Dimanche Gras show is stage theatre attempting to domesticate festival theatre. And any dramatist can tell you that festival theatre has a mind of its own. It can be long, repetitive and very dependent on the mood of the audience. To attempt to domesticate it is to also de-nature it. Ms Demas, like all the producers of the Dimanche Gras before her, has to make a decision. Is she doing a concert or staging a competition? And after making that decision she needs to accept that all theatre, indeed all stage shows,need conflict and tension to hold the audience’s attention and keep people coming back for more. Historically the Dimanche Gras show relies on conflict. It is a kind of gayelle. People attend or tune in to see who will win the calypso crown, or who will have the best costume on parade. They want the competitive aspect of the show. They want victors and heroes to root for. To remove the competition aspect from Dimanche Gras is to take the juice and life out of the show. If you are going to remove the competition, then you have to make it a grand concert that is tight, well co-ordinated and filled with surprise acts that will leave the audience oohing, aahing and vowing to not miss next year’s. Like Alternative Concept, before it became Warm-Up-To-Fantastic-Friday –Machel-Monday. Ms Demas has now stumbled into some treacherous waters. Her revamping of Carnival is now being viewed not as just a stumble by some Trinbagonians, but as a concerted attempt to destroy Carnival. If Ms Demas wants an example of a concert that masquerades as a competition but really isn’t she need only look to Fantastic Friday. Soca Monarch is to Trinidad Carnival what WWF Wrestling is to the United States. If you didn’t know it was a pre-planned performance by now, then now you know. Caribbean Prestige Promotion has my unstinting admiration for the magic trick it pulls off with Fantastic Friday.Not because Soca Monarch is well-produced, not because the performances are great; but because William Munro has figured out precisely how to inject needles into us and keep us coming back for more. 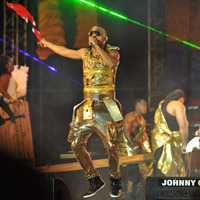 Soca Monarch is the hottest debate in town. As soon as soca tunes are on the radio people are gauging and comparing. Who sounding good? Which songs are better suited to the Groovy or Power Categories. What will the stage performances look like? And in the last three years, who has a chance at beating Machel Montano. Remember when we were like that about Calypso? In its 21 years of existence Soca Monarch has faced controversy after controversy, revamp after revamp and managed to sustain interest. And that is so because Munro understands good theatre. Three years ago when interest in the show was again flagging because it was the same cycle of winners,Montano - the Boy we all love to hate - entered the competition, allegedly to improve the standards. His entrance into the competition coincided with the first prize money increasing to $2 million. Montano’s announcement that he was entering had many fans of the show claiming “Advantage”. And not to disappoint, Montano gave his winning Power song the same title. His apparent alignment with the current government also made the shows even juicier. Montano became both the hero and villain of the show. Would he win? If so, would the victory be fair? Was the judging rigged? In the last three years we have had three battles play out before us: Montano vs the entire Soca fraternity; Montano vs Iwer (aka Soca Tote The Re-match) and now Montano vs Super Blue. Conflict, tension and juice! The show’s popularity cannot be denied. The audience tends to number in the tens of thousands at the venue; those who don’t attend tune in on tv; and the diaspora gets online all anxious for reliable internet feed that two decades later we still cannot get right. Facebook and Twitter are hot with debate and commentary on everything from the punctuality of the start time, to vocals, to presentations. The show starts at roughly 9 pm and lasts until the very wee hours of the morning. This year it ended around 4 am. Soca Monarch is just as poorly produced as the Dimanche Gras and lasts just as long, we often “know” who the winner is going to be, yet we are thoroughly enthralled and engaged by it. If Ms Demas was to pause a minute and consider this, she would see it’s not what she is taking out of the Dimanche Gras that is important, but rather what is she putting into it. This year Munro introduced the element of Super Blue. The audience as ever accepted the premise of the show unquestioningly. They accepted Blue’s return wholesale. It became the comeback story of the season. Montano went from being both hero and villain of Soca Monarch to just plain villain. Here was Super Blue, the fallen hero, down on his luck, donning his battle gear for one last round in the Soca arena. 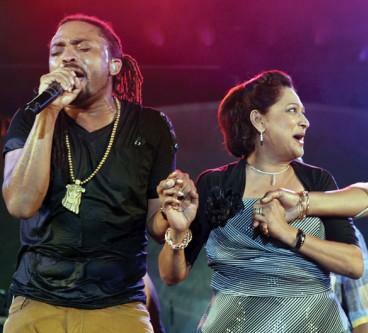 Would the General of Soca teach the young Montano a lesson? Super Blue had a nostalgic crowd, willing to forget that they had once complained about the triteness of his music and the excessive use of “jump and wave” in his songs, now rooting spectacularly for him and speaking of“Ethel”, “Soca Baptist” and “Jab Molassie” in glowing terms. Despite Montano’s 30 years in the business, he was now seen, not as a veteran himself, but a greedy upstart. No one questioned when and how Super Blue managed to rehabilitate and come back. No one seemed perturbed that the promoters of Soca Monarch were also the management team behind Blue’s comeback and that building an entire Soca Monarch around the historic battle of Age vs Youth is classic theatre. 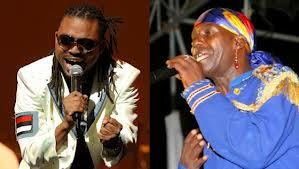 Or that Munro has already developed his plot-line for Soca Monarch 2014: the Rematch! If I were Ms Demas, bad as the production quality is, I’d look at the footage of Soca Monarch for the last three years and analyse the various battles that Munro constructed for us and take a page or two out of his playbook. Making a successful Carnival show goes beyond the realm of impressive resumes. You must also be aware of just how much mas you can make with a little water and powder.